Hyderabad: KIMS Hospitals, a city-based healthcare multi speciality chain, is in the process of enhancing bed capacity by about 2,300 from the existing 1,800, with an investment outlay of Rs 800 crore over the next three years. The healthcare chain is also chalking out plans to expand footprint outside Andhra Pradesh and Telangana and has already identified lands in Guwahati, Bhubaneshwar, Indore and Bengaluru, where it plans hospitals with a combined capacity of 1,100 beds, company’s vice president (strategy and marketing) Abhinay Bollineni said. “The group runs five hospitals across Andhra Pradesh and Telangana with combined bed capacity of 1,800. 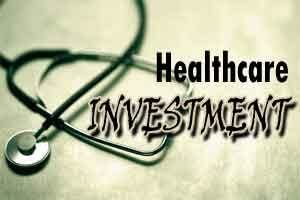 KIMS Hospitals’ bed strength in Telangana and Andhra Pradesh will go up by over 1,000 shortly. “Similarly, KIMS Hospitals is spreading its footprint across the country by establishing hospitals in Guwahati (250 beds), Bhubaneshwar (350), Indore (250) and Bengaluru (250)- total 1100 beds,” Bollineni told . At present, KIMS Hospitals is operating five hospitals, including in Secunderabad and Kondapur (Hyderabad), Nellore, Rajahmundry and Srikakulam in Andhra Pradesh. It is also operating a medical college in Srikakulam. In addition to 150-bed hospital in Rajahmundry, KIMS is acquiring 350-bed hospital which will be operational in next two months. Besides, KIMS is establishing 250-bed hospital in Dilsukhnagar (Hyderabad). Besides, KIMS is also planning to increase the bed strength in Nellore and Kondapur hospital by 100 each and 150 at Srikakulam hospital. “Expansion plans need an investment of Rs 800 crore in which Rs 300 crore will be raised through internal sources and Rs 500 crore through loan component,” he further said. The debt-equity ratio stood at 1:1. ICICI Ventures owns 28 per cent stake in KIMS while the promoters hold about 60 per cent and the rest with some of the doctors working with the healthcare chain. KIMS Hospitals turnover increased to Rs 650 crore for the financial year 2015-16 as against Rs 400 crore in the previous year (2014-15). Replying to a query, Bollineni said the company is not against inorganic expansion and also looking to acquire assets abroad if they fit into the KIMS’s philosophy.